Publishers aren’t afraid to try and get a bit of extra money out of the pockets of their fans. It doesn’t really matter which big AAA release you buy next, you’re pretty much guaranteed to be faced with in-game purchases, DLC seasons, or character passes — if not all of the above.Battlefield is a series that has satisfied shooter fans for years with a heavy, grounded gameplay style which spreads across massive maps that fans have grown to love. And now, EA is finding ways to weaponize the devotion of its biggest supporters through a new Battlefield 5 currency in an unacceptable attempt to bleed those players dry. That gives Battlefield 5 two forms of currency now, which helpfully obfuscates the real cost of anything players decide to invest in in-game and certainly benefits EA. 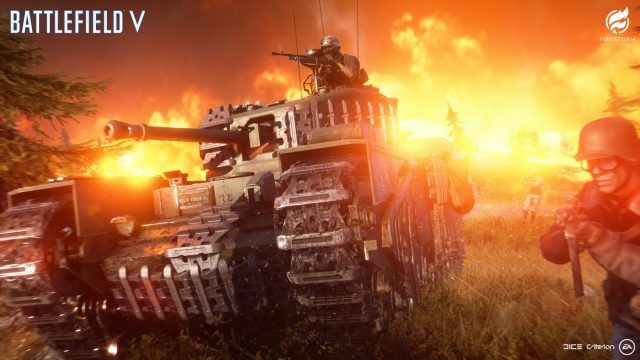 The game has Company Coin that you earn through gameplay, and now Battlefield Currency, the new addition that will cost you real-world money to buy. 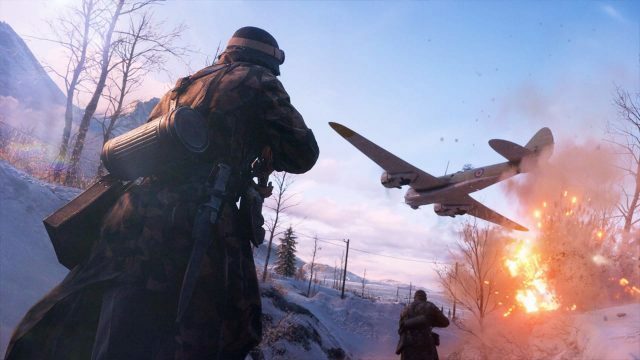 The launch of Battlefield Currency was likely planned since before the original release of the game, and it’s no coincidence that this was launched just shortly after Battlefield 5‘s new battle royale game mode, Firestorm. The battle royale formula has been working wonders for all of the larger games that have thrown their hats into the ring. Popularized by PlayerUnknown’s Battlegrounds, PUBG shot to the top of Steam’s popularity charts and made money hand over fist with in-game loot boxes and the keys needed to open them up. It was the kind of money that other large game publishers just couldn’t ignore. This lead to studios racing to have their own battle royale cash cow, which saw games like Fortnite and Apex Legends quickly rise to prominence. EA knew what kind of money a battle royale game could make, especially if it had premium currency and dozens of skins for players for fawn over. That’s exactly why it wasn’t satisfied with just having a Battlefield 5 battle royale on the way. The publisher had to double down with Apex Legends too. And, in all fairness, that’s a genius move. Even if Apex Legends flopped, Battlefield 5‘s dedicated players would no doubt fill up the new Firestorm lobbies and show off their new skins and gear they’ve earned, or purchased. There’s nothing wrong with EA releasing battle royale games with microtransactions in. There’s just something very wrong with EA doing it post-release. Adding these in less than six months later is a bit misleading to the fans that will be purchasing these games in its infancy. 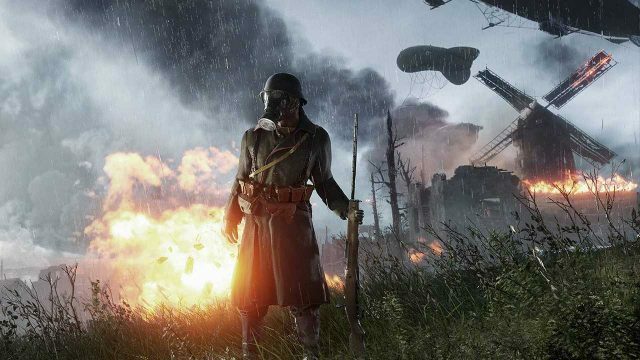 When early adopters bought Battlefield 5, they roughly knew what the base game would include, and they knew about Firestorm releasing this year. That’s pretty much it. Players knew nothing about the state of the in-game economy or microtransactions. EA wouldn’t have shared anything about these topics because, of course, players don’t want to buy into a game in the knowledge that it will just try to tempt more money out of them. This isn’t false advertising, but it’s deliberately misleading and dirty because the Battlefield Currency couldn’t have been in the initial wave of the game’s coverage. Other games have done this in the past too but the timing of this doesn’t help EA’s image. It also seems worse that EA did this especially despite previously saying it wouldn’t have cosmetics available for real money. Players were hesitant to trust EA after its other predatory games and saying stuff like that is a bit deceptive. EA has had a fair beating over the inclusion of microtransactions in the past. Star Wars Battlefront 2‘s grindy loot boxes devastated EA’s share price and the bad press surrounded the publisher for months. But EA knows how much money these microtransactions can make, and as such, removing them entirely from their live service shooters wasn’t an option. Instead, it appears as the company just delayed them to avoid bad press, and are now trying to rake in the money from any players still online for the Firestorm mode. Thanks to Star Wars Battlefront 2, we already know how these microtransactions can destroy an in-game economy. While there are not loot boxes in the game, some items are even only available with Battlefield Currency. It’s a devious, dirty system that Battlefield 5 didn’t invent but feels a bit exploitative launching next to a battle royale mode. It remains to be seen how Battlefield Currency will impact Firestorm if at all. But regardless, the timing is poor as it looks exploitative launching by genre known to rake in the cash. Launching Apex Legends right near Firestorm wasn’t great timing for Battlefield 5 as it seemed cannibalistic to have two big, first-party shooters duke it out. But the timing of the currency next to its new battle royale gives off a funny aroma that reflects poorly on EA as a whole.